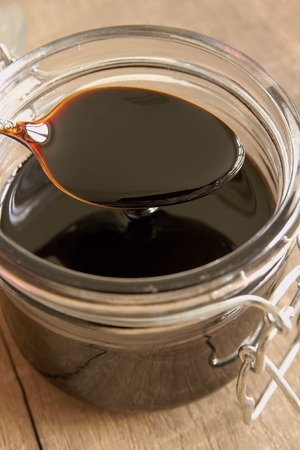 Blackstrap molasses is the dark, viscous molasses that remains after maximum extraction of sugar from raw sugar cane. It has the consistency of a thick syrup, as the third boiling of sugar syrup yields blackstrap molasses. This concentrated byproduct is left over after the sugar's sucrose has been crystallized.